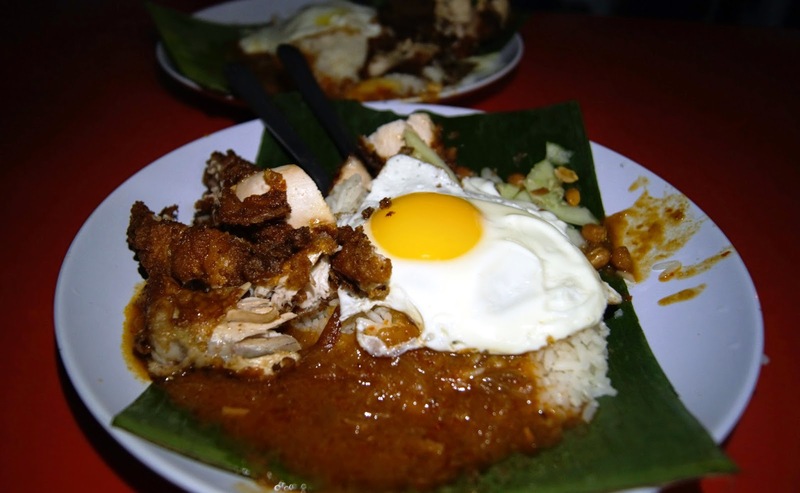 Perfectly done runny bullseye egg...with the company of thick & sweet sambal that comes with a tinge of spiciness, a side of crunchy nuts, and perfectly deep fried chicken, crispy on the outside, juicy on the inside, thrown together on top of hot pipping coconut milk infused rice, with a price tag of RM4.50 only. The rice weren't as soft and fluffy was expected, but the creamy egg yolk and sambal made up for it. Just divine. We finally made it to Nasi Lemak Bumbung at Sea Park, after so many failed attempts (that ended us up in Burger Lab LOL). 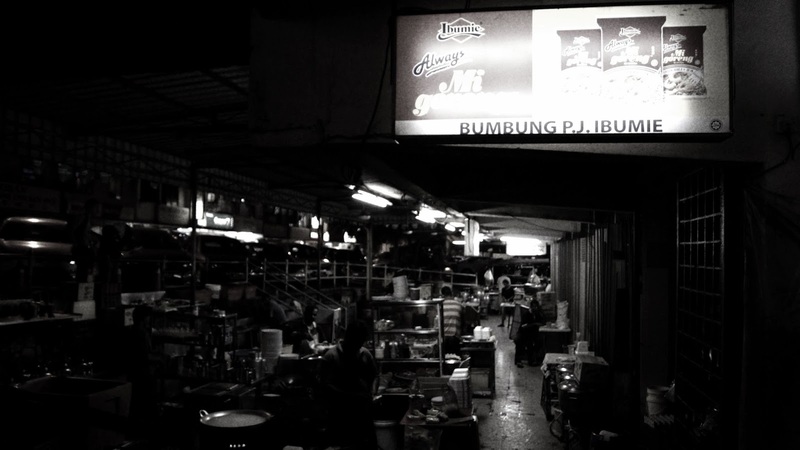 Nasi Lemak Bumbung, contrary to its name, do not have a "bumbung" (roof). 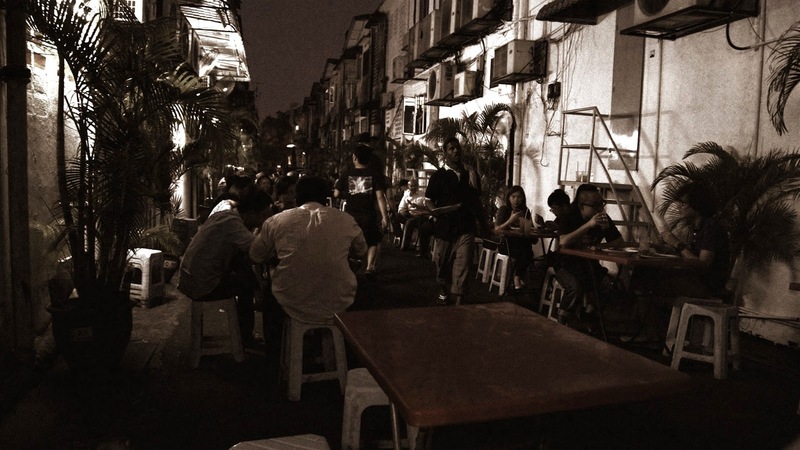 The make shift stall is set up behind the streets of Maybank, while the workers were seen painstakingly deep frying the chickens and eggs at a common area where a bak kut teh store was setted up. Our bill came up to about RM12 only (2 plates of nasi lemak, 1 warm water and 1 teh tarik), a price which you can't get in other famous Nasi Lemak places (DU..ahem ahem). Down side is well your dining experience gets affected by the weather, especially on a hazey day. But it's definitely worth visiting!